Tri-State Carting Inc is New Jersey's leading provider of cost effective waste removal and recycling services for residential, commercial, industrial, and municipal trash disposal. We have the experience, the staff, the trucks and containers, and the recycling center to handle any size job. Our recycling center at 98 Flint Road in South Toms River is open to the public. Drop off and sell us your scrap metal, cardboard, and waste paper. 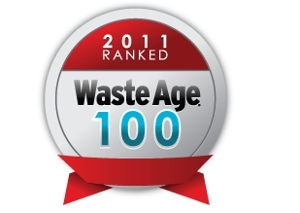 In business since 1996, Tri-State Carting Inc can handle your waste disposal needs. Tri-State Carting Inc has partnered with our customers and communities to encourage recycling while keeping a neighborhood’s quality of life high and its property values stable. We offer a variety of permanent waste removal and recycling services throughout New Jersey. Using the industry’s largest selection of dumpsters, roll-off containers, and trash compactors our safe and friendly drivers provide clean and dependable waste removal and recycling service in Toms River, NJ, while our professional customer service staff is trained and standing by to answer all of your service-related questions. As a leading waste removal and recycling service hauler, we realize that just having more people and equipment does not automatically make Tri-State Carting Inc Toms River, NJ a better waste removal & recycling company. That is why Tri-State Carting Inc has focused our efforts towards achieving one goal - complete and total customer satisfaction. We back up our service with our Service Guarantee. Whether you are a new business, existing business residential, located in New Jersey, We would like an opportunity to develop a waste removal and recycling service program specifically tailored to your needs. Drop off and sell us all your scrap metals, cardboard & waste paper. We would like to take this opportunity to introduce our waste disposal company. Tri-State Carting Inc is a sanitation company providing solid waste & recycling collection and disposal throughout New Jersey. Since growth depends on quality service, our company has been rapidly expanding by providing customers with the best sanitation service available. Whether Industrial, Commercial or Residential, we specialize in a complete sanitation service and offer fast, dependable waste removal. We supply and maintain containers in every size and can even offer full Waste & Recycling Evaluations for your location. Contract terms can be suited to fit your needs and requirements.Tri-State Carting Inc offers a service that you can rely upon. Copyright © 2018 tristatecarting.net All rights reserved.